Amid A Slew of Similar Listings, How Do You Market Your Luxury Home? If there’s one niche that finds continuing success in a volatile housing market, it’s the ultra-luxury segment. These homes, worth millions of dollars as substantial investments, need to be presented right to their target buyers. Whether a property is situated in the central business district, expensive suburbs, or tropical paradise such as Hawaii’s Big Island Resorts e.g. 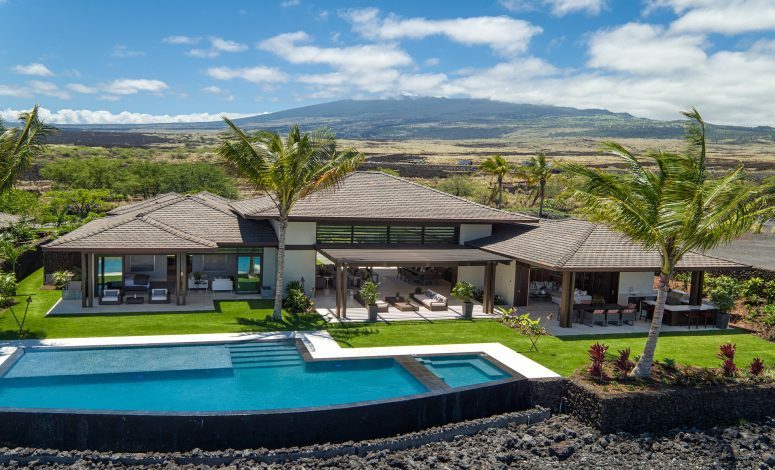 Kukio, Hualalai, Mauna Kea, a seller should attract the right potential buyers, make them understand what makes the property worth the money, and negotiate effectively to close the all-important deal. How does one do this in the face of a fairly strong yet highly competitive market? Here’s sound, practical advice. Know the types of customers.According to Brand Equity, there are different kinds of luxury home customers: entrepreneurs, such as Silicon Valley’s technology elite; people for whom a house in luxury developments signifies success; and those looking for a second or third house as an investment. All of these types call for a different approach to marketing, although they are generally pressed for time and scout for uniqueness. It matters to take these differences into account from how you approach them, undertake the selling process, and build relationships. Get a high-end brand.Note that it’s going to be a long product cycle that typically starts in advertising and hiring the right agency or representation for your listing. Create consistent, high-quality design and a sensational audio-visual experience, because conferring an address with prestige will begin with branding and identity. Invest in talent for the design and writing of your marketing materials, and let them mirror the perfection your target buyer is seeking. Never lose the personal touch. This involves conducting a fair amount of traditional marketing, such as personally calling prospects or hosting home visits for them. A digitally driven model increasingly converts prospects into actually buyers, but do not let technology replace the human touch that luxury home investors are looking for. Break down boundaries.What this means: exceed expectations and develop the ability to entertain requests, such as tweaks in the home theater system, surveillance cameras, or “smart home” capabilities. Go the extra mile. Since you are dealing with the ultra-high-net-worth niche, it’s more about YOUR effort and less about the money THEY will spend. Once you’ve shown people the value of your property, it’s time to demonstrate your commitment to help them own it. Work with a luxury home real estate agent.Marketing and selling a luxury property entails the expertise of an agent deeply immersed in this specialized market. Some crucial traits include very effective communication skills, detail-orientedness, an understanding of the local market inside and out, being well-versed in pricing, and maintaining a vast sphere of influence. Apart from having keen market knowledge and long-standing relationships, it pays for an agent to be extremely discreet in closing some of the largest transactions in a given location. Register today and receive privately sourced information, including high-end listings that aren't publicly available. Yes, I need an expert. Not yet, but soon perhaps.